Unwind from the weekly grind with 6 can't miss stories from our feature sections. 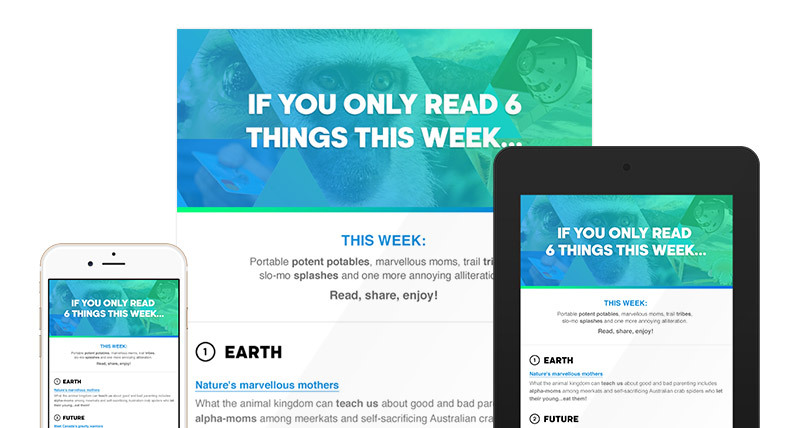 With this weekly newsletter, we aim for wit and whimsy. Handpicked by our world-class editors, there's now another reason to love Fridays.